The great talk of Indian Cricket is Sachin’s 200 test match milestone. Its also sees that Sachin may announce his retirement after his 200 test but no official announcement and Sachin says that, he can think of that after reaching the milestone. Here for Sachin fans, a great news is waiting. Sachin’s presence will be there forever in Cricket with his records and milestone at the top forever. But another gift is that, Sachin’s son Arjun Tendulkar is making his debut match coming Sunday in Kanga League. At the age of 13, he is making his debut in Cricket. He is not the youngest cricketer in the league because an 8 year old boy is making his debut in this league. In this league both young guys are going to compete with many under-17 and under-19 guys. In this Kanga league Arjun Tendulkar will represent the Young Parsee Cricket Club in Division G. Arjun Tendulkar is a left-handed batsman and also a left arm bowler. Arjun Tendulkar was dropped by Mumbai Cricket Association before few months for his poor form. Then after making his first century in his career during the selection trial match held during May 2012 made him to enter into the U-14 probables list for the MCA training camp. He hit his century with 14 boundaries and a six and made his team Khar Gymkhana to enter the final by beating Goregaon center with an innings and 21 runs. Being an young charm, he is trying to make his best. As son of Sachin, he used to practice with our Indian senior players like Dravid and Sehwag. He used to get practiced by his dad 'Sachin' and gain tips form senior players to develop his performance. 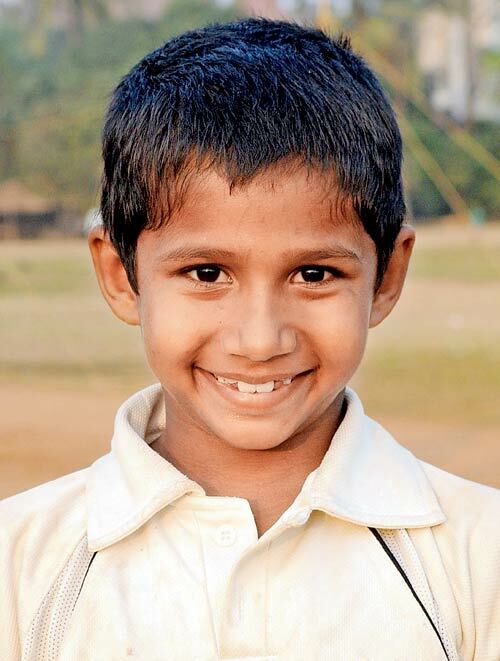 The eight year old youngest player to play in Kanga league is Mushir Khan. He is son of Naushad who is the captain of Sportsfield side in Kanga league. His son Mushir Khan is going to make his debut in this league representing Sportsfield Cricket club team. Moreover, Mushir is playing in the team led by his father Naushad. Mushir is also considered to an good left-arm spinner as he got 3 to 4 wickets of the senior players in the practice match. Mushir khan also had a chance of playing with Yuvraj Singh and got him stumped. Find below the moment of celebrations by Sachin with his son Arjun Tendulkar and daughter Sara after the Indian team lifting the World cup after 28 years. Everyone is waiting to see the performance of Arjun Tendulkar. Its not for his debut match but for his career. As son of Master blaster ‘Sachin Tendulkar’ he has to achieve greater heights and make his place in Cricket. Will Arjun Tendulkar will prove him to be the next Sachin and shine in Cricket?